Most of the end effectors, or end of the arm toolings, designed for a Liftonic® Pro include industrialized parts and modules which are being used on all our end effectors, thus granting maximum reliability. Most of the end effectors for a Liftronic® Pro are custom designed to suit specific requirements, but some applications are very common and allow the use of typical solutions for the end of arm toolings (EOAT). Read more on the advantages of Liftronic®Series INDEVAs vs.traditional industrial pneumatic manipulators. 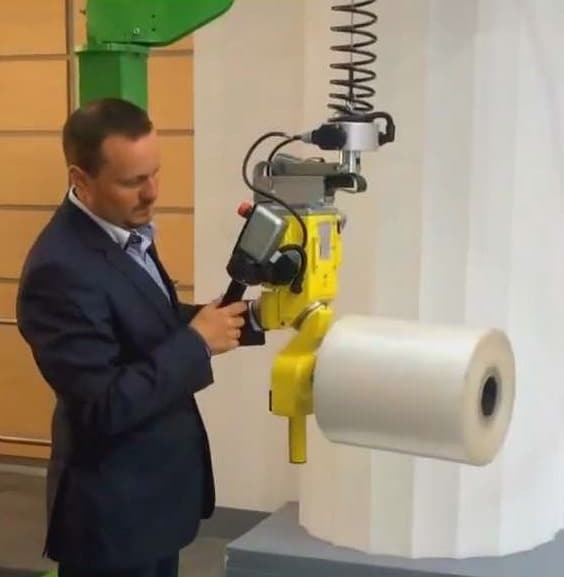 Liftronic® Pro can be equipped with the INDEVA® Orbital Tool Head complete with expanding chuck suitable for handling reels of yarns, film paper, etc… as well as metal cylinders of different weights effortlessly. 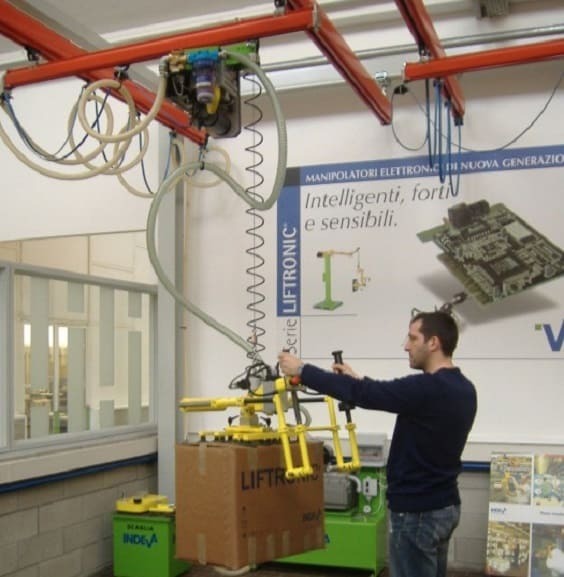 An INDEVA® Liftronic® Manipulator with vacuum gripper offers the highest standard of safety compared to any other lift equipment with vacuum gripping system. 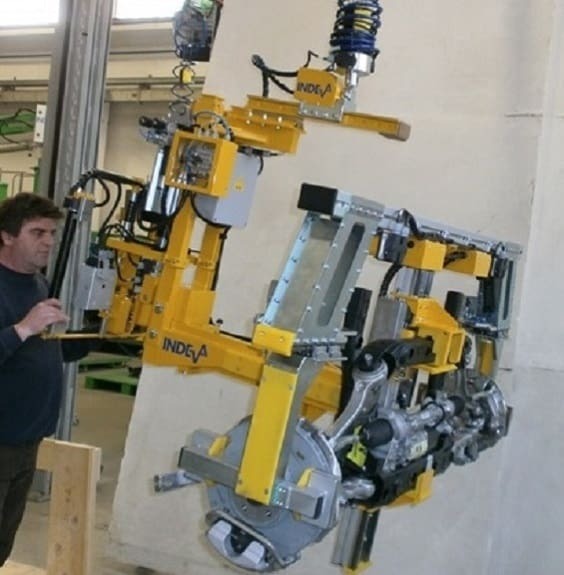 Scaglia Indeva boast great expertise and know-how in the design of custom gripping tools.